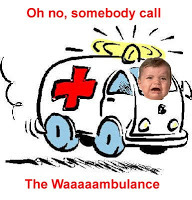 HCR: Wingnuts Ride The Waaambulance - Joe.My.God. Hit the above link for more. Previous Rosie To Replace Oprah?